President Trump has made no secret of his love for coal miners. But Trump's quest to save coal country apparently has its limits. The Trump administration has rejected a frantic cry for help from coal executives requesting an emergency order that would protect coal-fired power plants from being closed. The White House and Department of Energy have decided that "the evidence does not warrant the use of this emergency authority," the Department of Energy said in a statement on Tuesday. A White House spokesperson said the administration decided it wouldn't be "appropriate" to declare an emergency on the power grid by invoking a rarely-used section of the U.S. Federal Power Act. But coal CEO Robert Murray, an outspoken advocate for the industry, said that Trump had recently promised to take such drastic action, according to letters he sent to the Trump administration that were confirmed to CNNMoney by Murray Energy. In an August 4 letter, Murray said he heard Trump tell Energy Secretary Rick Perry three times, "I want this done." The letter was previously reported by The Associated Press. Murray warned the White House that failure to issue an emergency order would spark the immediate bankruptcies of his company and a major customer, power plant operator FirstEnergy Solutions. This would cause "disastrous consequences" for tens of thousands of miners, the nation's electric power grid and even Trump himself, Murray claimed. "Our time is running out. Please fight for us," Murray, a Trump supporter, wrote. 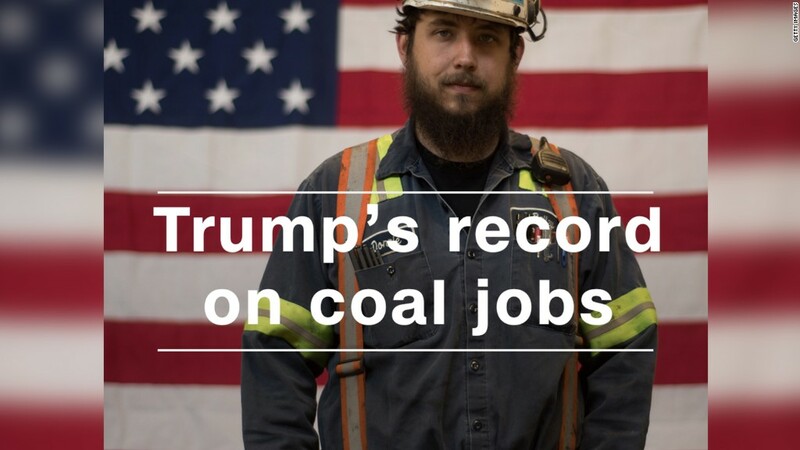 He noted that his company has 6,500 coal mining jobs. FirstEnergy (FE) confirmed to CNNMoney that it spoke to Trump officials "on numerous occasions" about the "need for immediate action." A spokeswoman said the Akron, Ohio-based company is considering a bankruptcy filing for FirstEnergy Solutions, its subsidiary that owns three coal-fired power plants. FirstEnergy Solutions said it employs approximately 3,300 people. Ultimately, the Trump administration decided there wasn't a need to justify declaring an emergency. The Energy Department has only invoked this authority eight times since 2000, including during the aftermath of Hurricane Katrina in 2005, according to a DOE website. "It's not an emergency to bail out one company," a person familiar with the matter told CNNMoney. As Murray reminded the White House, Trump enjoyed strong support during the election from coal country after promising to roll back regulation. "For those miners, get ready because you're going to be working your asses off," Trump said in a May 2016 speech. Trump followed through on undoing some Obama-era environmental regulations like the Clean Power Plan. The president also said the U.S. would withdraw from the Paris climate agreement. "President Trump continues to fight for miners every day," a White House spokesperson said. Jason Bordoff, a former energy adviser to President Obama, said that declaring an emergency would have been a "pretty heavy-handed way to intervene." He noted that the electric grid hasn't been majorly disrupted even though coal plants have been closing for years due mostly to competition from cheap natural gas and renewables like solar. "You really have to believe there is some national security or reliability risk. I don't think there is," said Bordoff, who is the director of Columbia University's Center on Global Energy Policy. Murray's pleading with Trump to rescue coal power plants stands in contrast to his harsh criticism of government support for wind and solar energy. "We just need to get the government out of picking winners and losers in the energy industry," Murray told CNNMoney in June. "Give me the ball and I'll compete against natural gas with our coal all day long." Murray is no strangers to disputes. In June, he filed a defamation lawsuit against comedian John Oliver, HBO and CNN owner Time Warner (TWX), alleging "character assassination" during an episode of "Last Week Tonight." Trump's coal decision may signal a win for the moderate wing of the administration led by Gary Cohn, the president's top economic official. Cohn, who frequently battled with fired chief strategist Steve Bannon, praised natural gas in May as "such a cleaner fuel." "Coal doesn't even make that much sense anymore as a feedstock," Cohn said.